In this pioneering biography of a frontline Holocaust perpetrator, Alex J. Kay uncovers the life of SS Lieutenant Colonel Alfred Filbert, responsible as the first head of SS-Einsatzkommando 9, a mobile killing squad, for the murder of more than 18,000 Soviet Jews - men, women and children - on the Eastern Front. He reveals how Filbert, following the political imprisonment of his older brother, set out to prove his own ideological allegiance by displaying particular radicalism in implementing the orders issued by Hitler, Himmler and Heydrich. He also examines Filbert's post-war experiences, first in hiding and then being captured, tried and sentenced to life imprisonment. Released early, Filbert went on to feature in a controversial film in the lead role of an SS mass murderer. 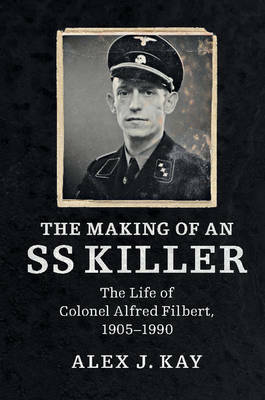 The book provides compelling new insights into the mindset and motivations of the men, like Filbert, who rose through the ranks of the Nazi regime.